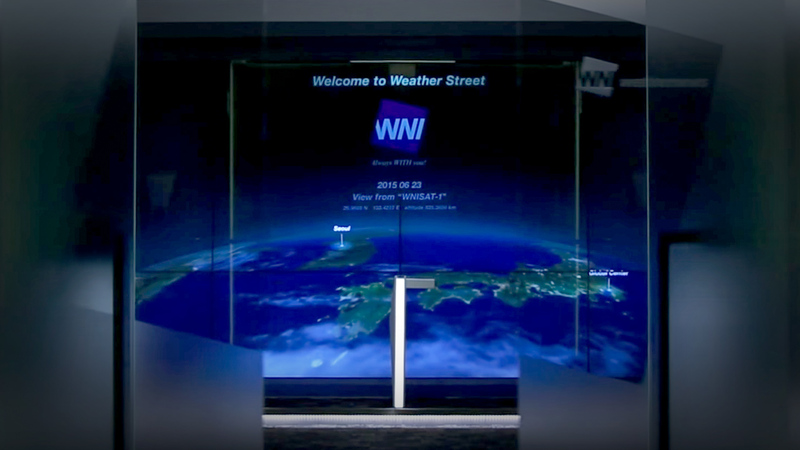 The entrance of weathernews global center was renewed. 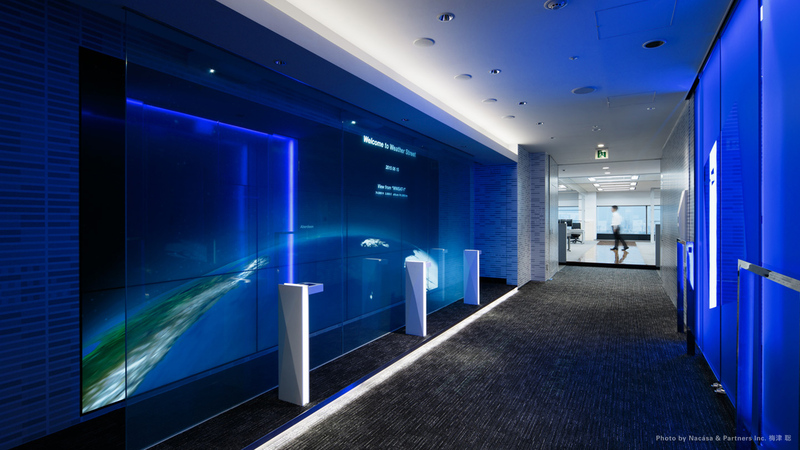 We created signage and contents that allow employees to work in and out and present to visitors. 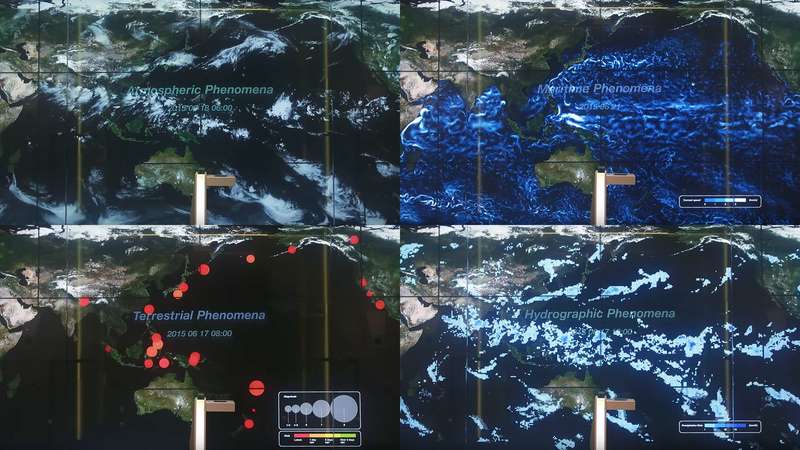 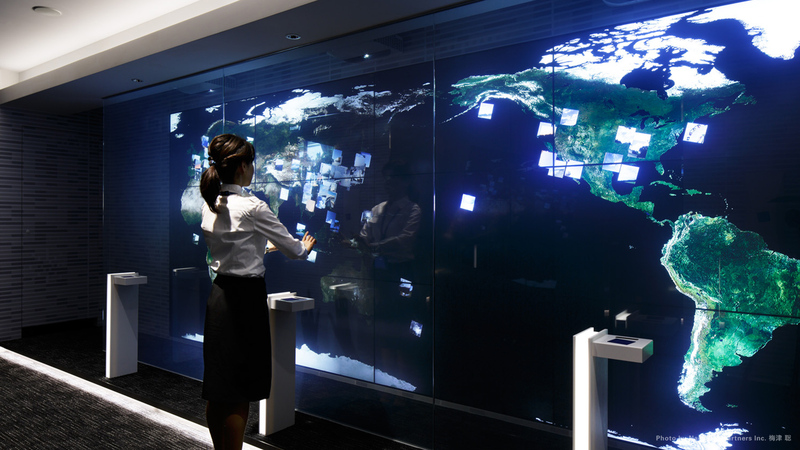 Display contents in a layer-like signage using a 55 inch 12-sided monitor and a transparent screen, and operate with a hand gesture by LEAP MOTION. 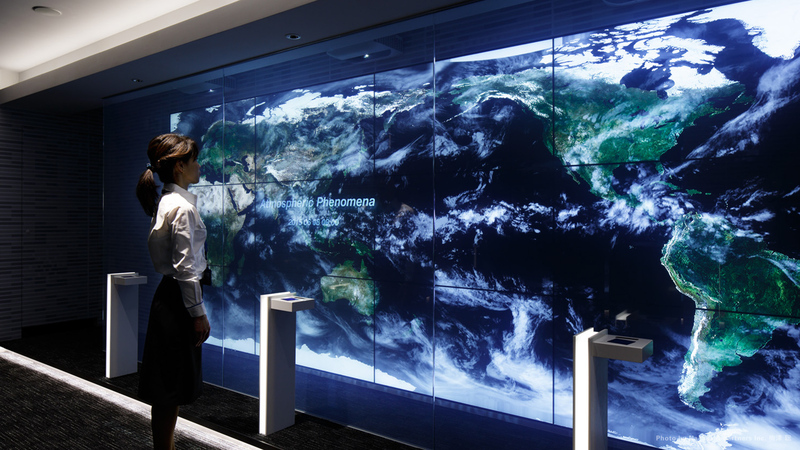 We reproduced the earth seen from the Weathernews satellite "WNISAT - 1" and incorporated content almost using real - time data all over. 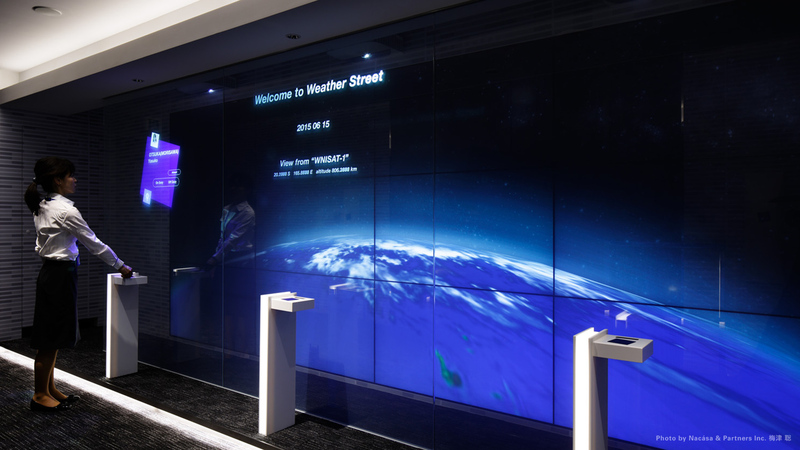 In the mode of presenting Weissonnes' five elephants such as weather, sea elephant, earth elephant, water elephant, snow elephant etc, design / development of UI which can operate simple, speaking, swipe, finger action etc. 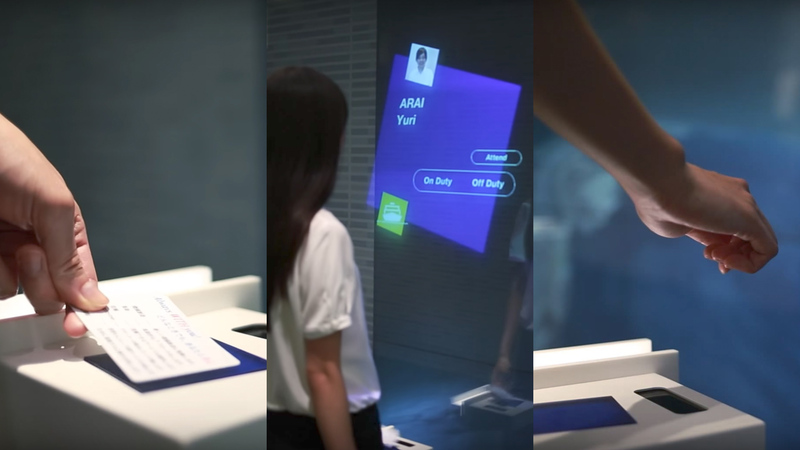 We prepared a bit of content that visitors can experience with gesture operation.